This topic provides a description of the controls on the Open Location dialog. 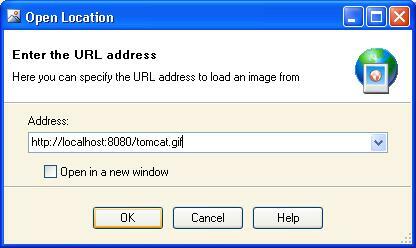 Images can be loaded from the specified URL address by choosing Open Location... menu item from the File menu. Press OK button to to load image for use in Sharp IMG Viewer 2008.